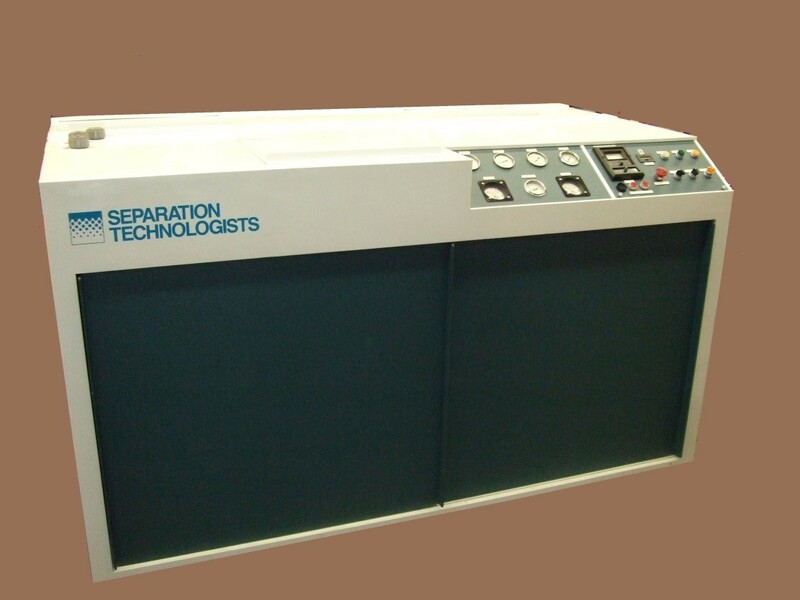 Separation Technologists offers a variety of reconditioned water recycling systems. 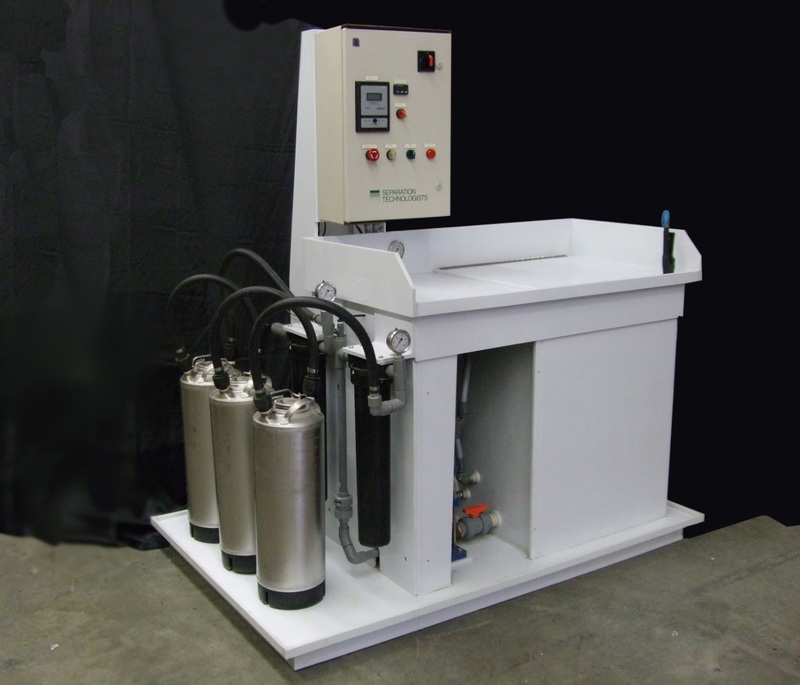 Our reconditioned units are completely refurbished and fully tested at our facility. A full 1 year warranty on parts will apply. View our latest available products below or call us today at 603-685-4108 and speak with our applications engineer for more information. This AquaCycler™ closed-loop DI water recycling system eliminates wastewater discharge, safely removes toxic metal contaminants from water, and substantially reduces water and energy costs. This version has a smaller footprint and less media tanks. For processes requiring DI water, such as spot free rinsing, semiconductor dicing, washing of 3-D glasses, washing of printed circuit boards and many more, the AquaCycler™ Closed-Loop System with ion exchange resin can economically recover and recycle spent process water. Contact Us for pricing and/or more information. This AquaCycler™ closed-loop DI water recycling system eliminates wastewater discharge, safely removes toxic metal contaminants from water, and substantially reduces water and energy costs. For processes requiring DI water, such as spot free rinsing, semiconductor dicing, washing of 3-D glasses, washing of printed circuit boards and many more, the AquaCycler™ Closed-Loop System with ion exchange resin can economically recover and recycle spent process water. This sink is designed to clean small batches of various parts with a powerful spray wand using deionized water up to 150°F and is primarily used for smaller cleaning operations. Larger companies, who only have a central washing system, can also benefit from this piece of equipment by having the ability to quickly wash just a few parts at a time at a remote location. Dimensions: L 68" x W 44" x H 70"